Once you know that many dinosaurs had feathers, it seems much more obvious that they probably evolved into birds. But there’s still a big question. How did a set of dinosaurian jaws with abundant teeth (think T. rex) turn into the toothless jaws of modern birds, covered by a beak? Two things had to happen in this transition, suppression of the teeth and growth of the beak. Now new fossil evidence has shown how it happened. 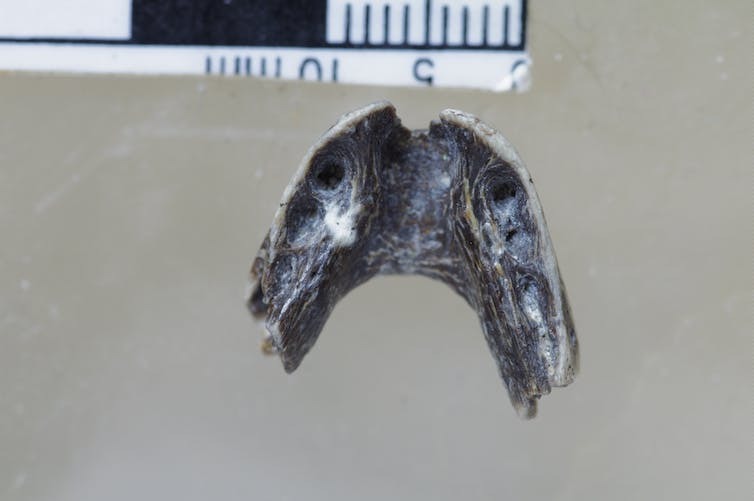 To find out exactly how beaks came to replace dinosaur teeth, the researchers had to look inside the animals’ jaw bones. Dinosaur bone fossils are not simply rocky casts of the original bone, but they nearly always show all the internal structure. A microscopic thin section from any dinosaur bone shows all the detail of internal canals for blood vessels and nerves, as well as pits where the bone-generating cells sat. Thin sections of fossil jaw bones show the teeth in as much detail as in any modern jaw bone. Wang and colleagues observed that the theropod dinosaur Limusaurus, which was closely related to birds’ ancestors, and the early bird Sapeornis had teeth right to the front of the jaws when they were young but lost them as they grew up. The detailed internal scans of the fossils showed adult Limusaurus had no teeth but still had tooth sockets in their lower jaws, closed off and forming a single canal. In adult Sapeornis, there were teeth at the back of the jaw but not at the front of the jaw. These kind of developmental observations help confirm the theory that the exquisite dinosaur fossils point to. 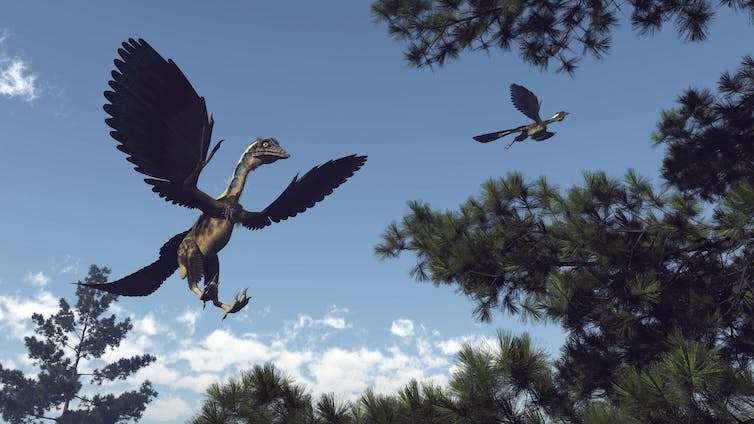 In becoming birds, dinosaurs had to change in many ways, including shrinking in size, sprouting wings, adapting feathers that were used for display and flight , improving their senses, shortening their tails, losing teeth, and many other characters. It is important to be able to identify plausible evidence for how each of these amazing changes happened.